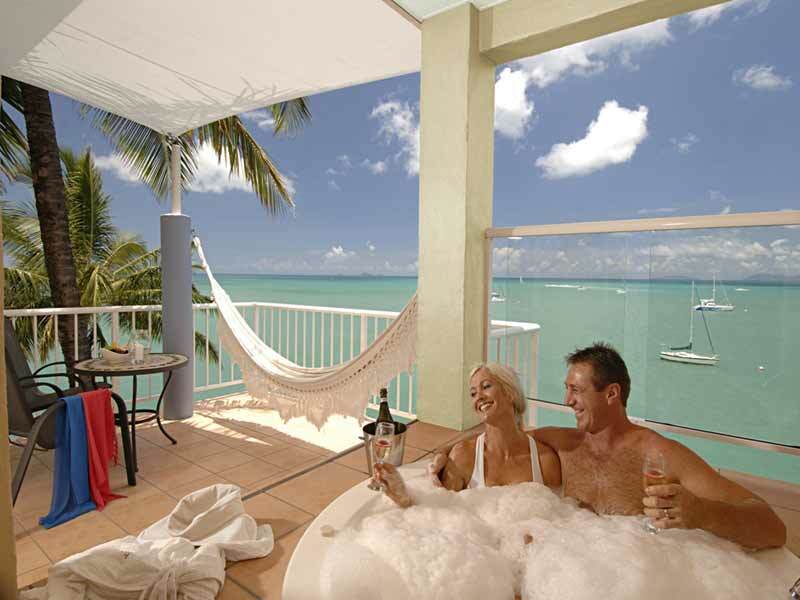 With a spectacular oceanfront setting on the headland at Airlie Beach, the Coral Sea Resort is the ideal place for your next getaway – whether you’re planning your honeymoon, travelling with the family or just seeking luxury! The resort boasts stunning views across the magnificent turquoise waters just steps from your front door. The manicured lawns and lush tropical gardens have created a sanctuary away from the stress of the world. Just a short stroll will take you to the heart of Airlie Beach and everything this vibrant yet tranquil town has to offer. The resort offers 77 suites, apartments and penthouses with many sleeping configuration options, so there is something to suit every traveller. 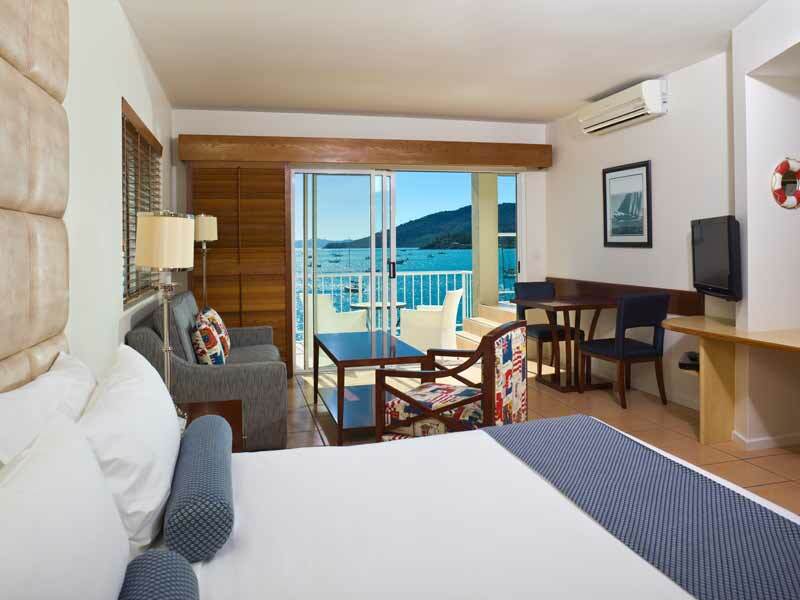 The resort is very central to everything in Airlie Beach and is just a short walk to the Abel Point Marina which is the ideal gateway to the beautiful Whitsundays Islands and Great Barrier Reef. 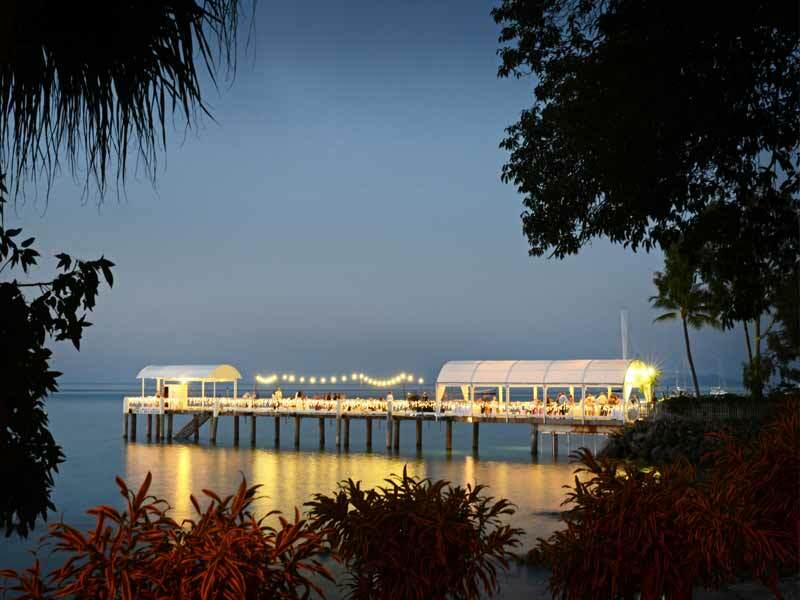 The Clipper Restaurant and Lounge is an award-winning restaurant located at the Coral Sea Resort that offers a mix of international cuisines and specialises in signature seafood dishes using fresh and local produce. When you’re ready to spend some time enjoying the outdoors, you should start with the 25-metre pool which overlooks the ocean and is surrounded by swaying palm trees and beautifully landscaped gardens. There is plenty of shade to relax in or, if you’d prefer to soak up the warm Queensland sun, you can use one of the sun lounges around the pool area. If you’re in the mood for a workout, the resort offers a well-equipped fitness room and gym with a range of cardio and weight bearing machines. Why go to Coral Sea Resort? 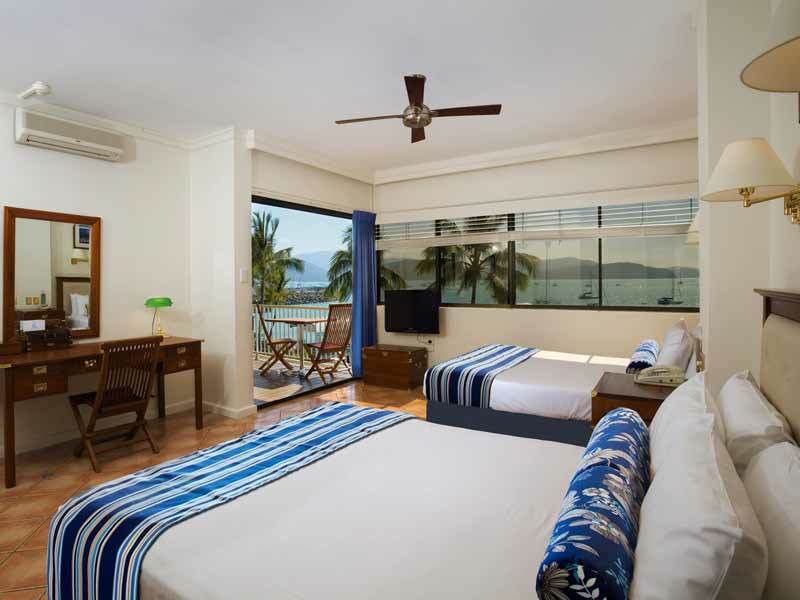 If you’re looking to enjoy your time in a resort with a relaxed and tranquil feel, perched on the absolute ocean front with views out across the gorgeous blue waters of the Coral Sea, then the Coral Sea Resort is the ideal place for you. It’s a wonderful place to spend time and is so central to Airlie Beach and all the amenities you could ask for. This a great place to base yourself if you want to explore the beauty of the Whitsunday Islands or the Great Barrier Reef. Featuring a stylish design in a light colour palette, finished with natural timber and a definite nautical twist, your room feels modern and open. Plenty of natural light streams through the generous windows and floor-to-ceiling sliding doors, drawing your eyes toward the magnificent views out across the turquoise ocean below. Your private balcony gives you the ideal spot to relax and enjoy this magical location. You will have 2 Queen-size beds, a flat-screen TV with cable TV access, air-conditioning, tea and coffee making facilities and more! 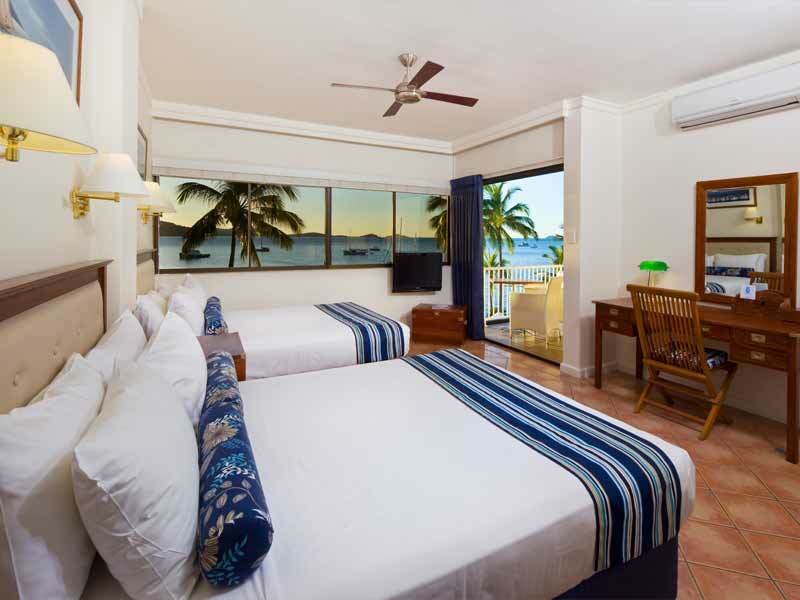 These absolute beachfront suites have a contemporary style and a nautical finish to mimic the tropical surroundings and ocean just steps away from your door. Why not take some time to relax on your large private balcony and soak up the warm sunshine or enjoy the cool sea breeze as it drifts in across the clear, blue water? Your room is furnished with a Queen bed, lounge and coffee table, a work desk and a mini kitchenette featuring a sink, microwave and tea and coffee making facilities. After a day out in the sun, you can cool your room down with the climate-controlled air-conditioner and relax in front of the LCD TV with cable TV access. The interior of your suite has been designed and decorated in the resort’s traditional yet subtle nautical theme, giving the suite an airy and relaxed feel. You have a private balcony with an outdoor spa and double hammock, so you’ll find yourself enjoying some time relaxing and taking in the spectacular view of the pristine turquoise ocean just outside. These suites are built right on the absolute point and sit just a comfortable distance above the highwater mark. Delight in King-size bedding and spacious lounge room. Your mini kitchenette has a microwave, sink, bar fridge and tea and coffee making facilities. When you want a cool break, you can air-condition the room and recline in front of your LCD TV with cable TV channels and free in-house movies. 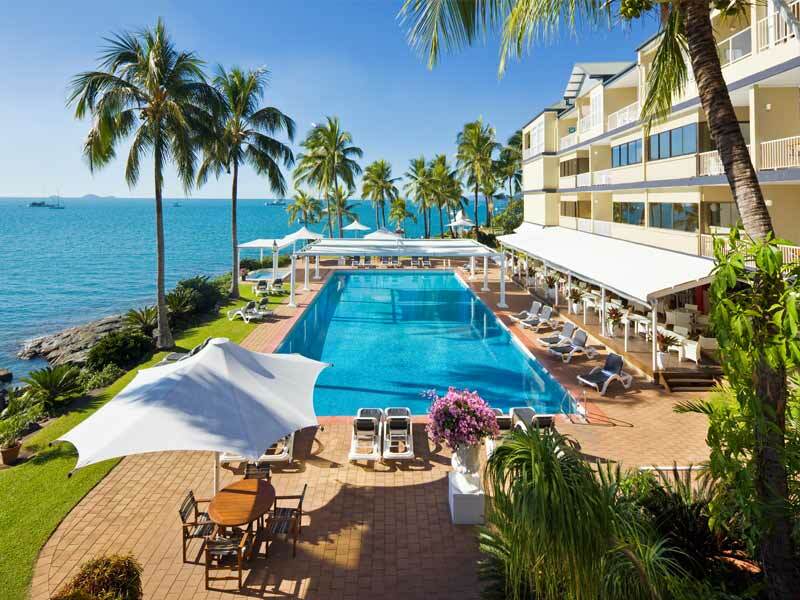 Airlie Beach is located in stunning Tropical North Queensland and is accessible by car, train and bus. Alternately, guests can fly into either Proserpine or Hamilton Island airports. The Coral Sea Resort is ideally positioned on the northern tip of the headland, just a couple of minutes from central Airlie Beach, so you have local shops, markets, restaurants and amenities very close by. The resort is well-appointed to give you fantastic ocean views. 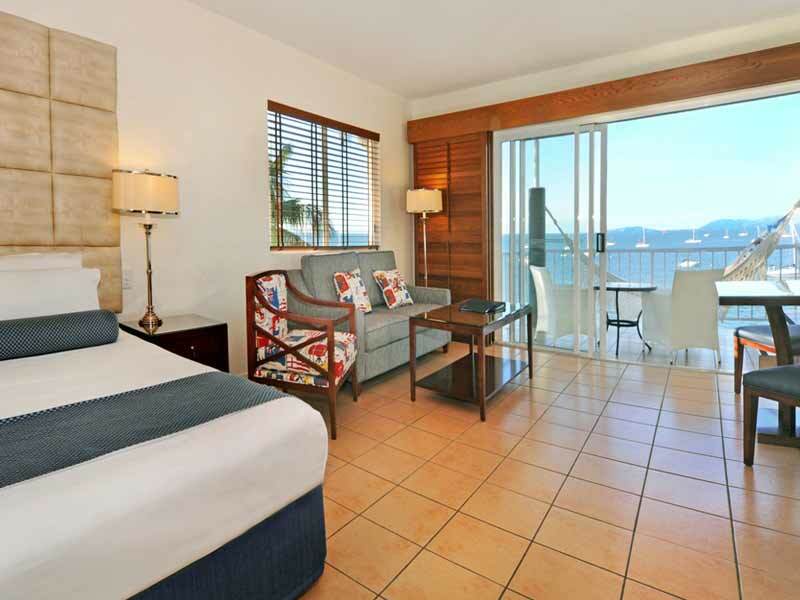 If you’re looking to relax and unwind, Coral Sea Resort is an ideal place to start. Indulge in serenity as you spend a day by the 25-metre pool surrounded by beautiful gardens and lovely manicured lawns, with the tropical palm trees creating a picturesque backdrop. Here, you’ll soak up the warm sunshine with a view directly out over the calm ocean. When you’re ready to explore some of the many attractions surrounding Airlie Beach, why not start with a day trip to the underwater wonder of the Great Barrier Reef, where you can experience first-hand the huge coral colonies and an abundance of thriving marine life? You’ll love a sailing cruise which allows you to explore some of the most beautiful spots to be found in the Whitsundays area, including magical Whitehaven Beach with its spectacular white sands. While you’re out on the water, you can try some snorkeling or diving with sites to suit all skill and experience levels. When you’re looking for some excitement, perhaps you’d enjoy a helicopter or seaplane scenic flight and for the thrill seekers, there is both tandem and single skydiving! Great customer service, beautiful ocean views from room and balcony, and your own spa on your patio with shutters if needed. 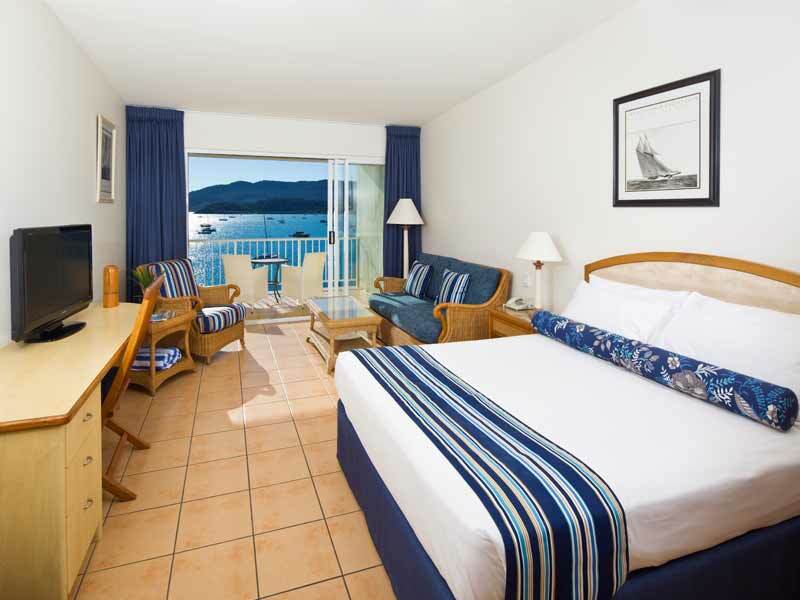 Rooms are very clean and spacious, the bar and restaurant overlooks the beautiful pool and flaunts ocean views. There are sun lounges to relax on and the gardens well looked after. 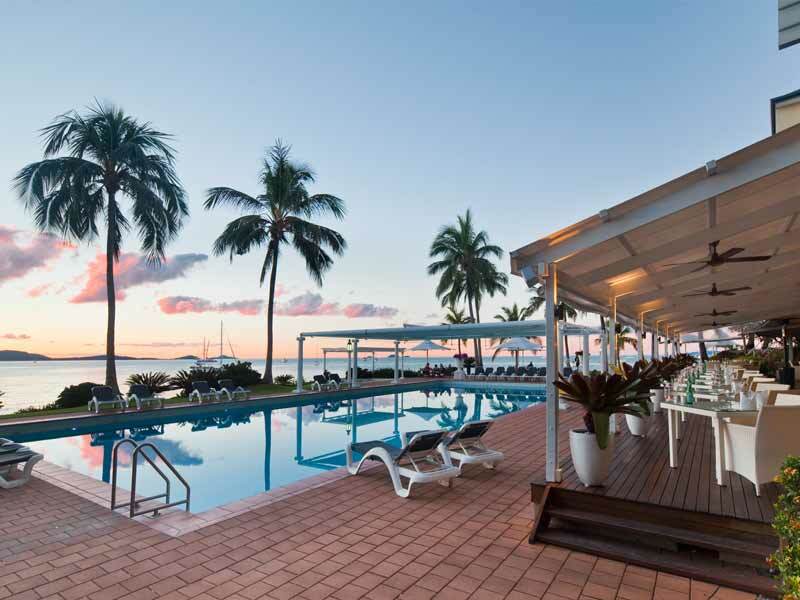 Airlie Beach is only a very short walk along the boardwalk but you really don’t need to leave the resort. Perfect for getaway!